Note: This blog post was originally posted for the Sevenzo.org “Belonging Challenge. Check out their site for more perspectives from educators around the country. I teach in one of the whitest states in the United States in a very rural school district. 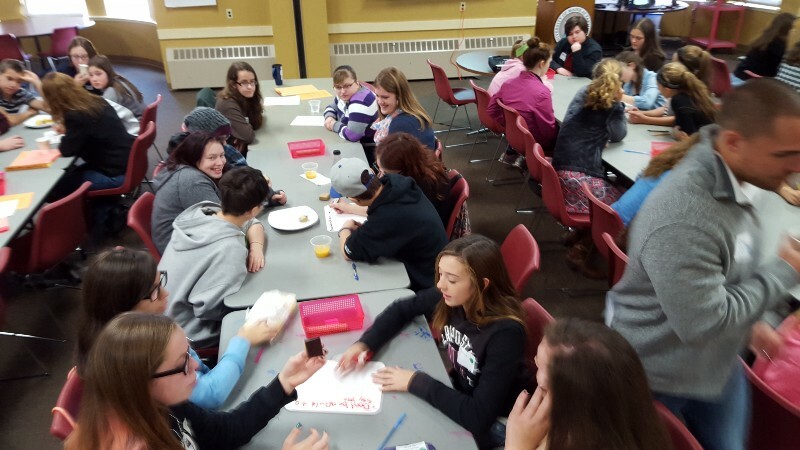 Many of our students are from families whose roots go back three or four generations in our community. Although our demographics have only changed slightly in my 18 years of teaching, we are very slowly seeing more diversity in our student body when it comes to race, religion, and language. 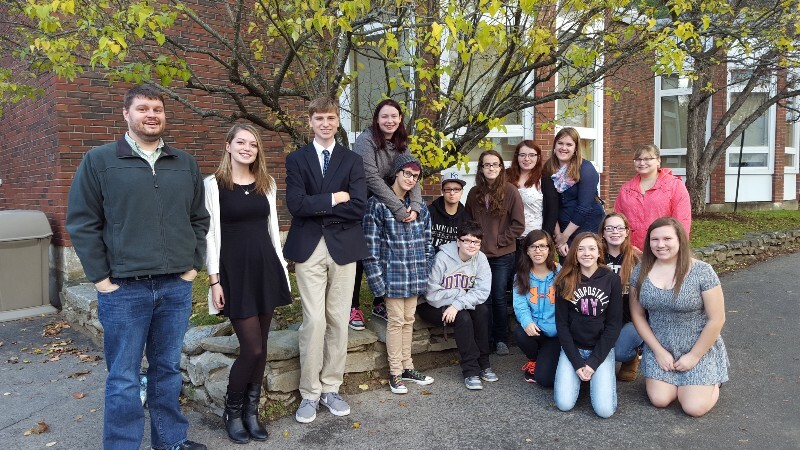 The Civil Rights Team at Mountain Valley High School in Maine 2015. It may seem to our students and staff that a small school like ours doesn’t need to talk about diversity, but it’s precisely the reason we should do so. For the majority of my white, non-hispanic students, there is an implicit sense of sameness — an instant familiarity and cultural connection with others as they enter a classroom. We have the same customs, the same language, and the same faces — well, most of us. Diversity is something to be discussed in other places, in big cities or more urban states. Why would you need to talk about something you don’t see? This approach ignores the experience and cultures of the few students who do not feel that sense of connectedness, that instant sense of belonging. For the students who don’t fit the mold of the majority in my school, every stereotype, every religious generalization, every seemingly harmless joke in which they are their culture is the punchline is a personal attack on a core part of their humanity. Intended or not, these repeated experiences in school build into a clear implied message: this place is for people like us, and “you” are not “us”. 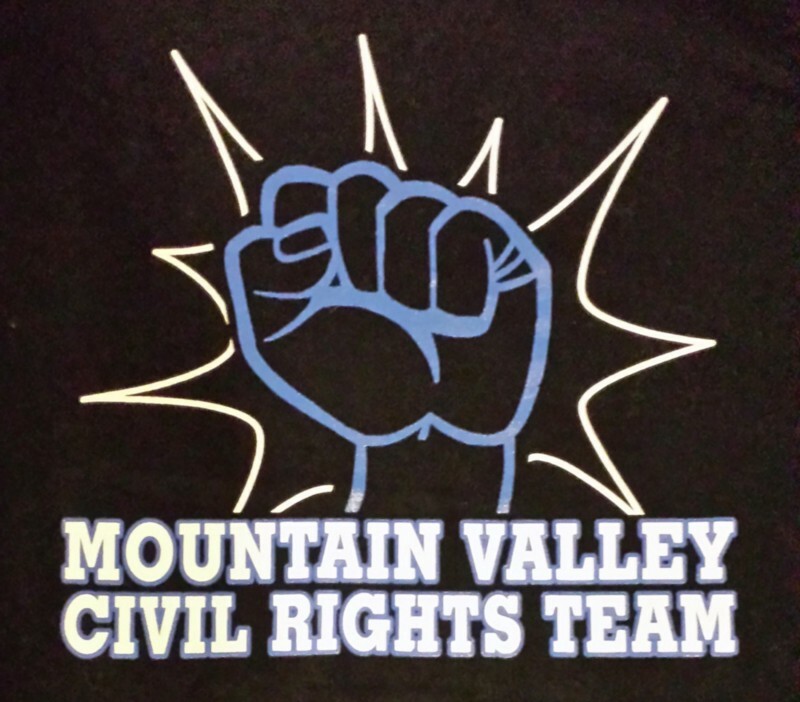 That is why, in 2004, some our students, a staff member and I helped form our school’s Civil Rights Team. 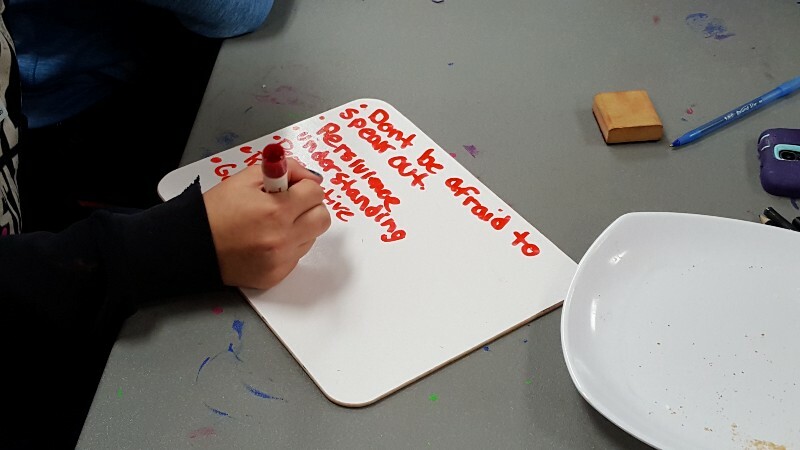 Though our conversations first focused on issues of general harassment and school safety, we quickly began to be an open forum for students who have felt marginalized to speak their mind and share their stories. Chandarith Moeun, one of my students from a Cambodian-American family, found the Civil Rights Team was a safe place to explore how he navigates the conflict between his family’s culture and the culture he is asked to join at our school. This became an important step in his growth as a student and has even helped to guide his work in adulthood. Giving students the opportunity to share about their own cultures not only validates the experiences of the minority students, it helps clarify some of the misconceptions and ignorance the majority student’s behaviors are based on. This is incredibly important, not only in our current classrooms but in preparing all of our students for lives and work in the global community they will undoubtedly take part in. Despite growing up in a small town in western Maine, it is unlikely that my students will work and live in a world that reflects the people and cultures they see at the local grocery store or football game. As educators, we have a responsibility to make all students feel safe, welcome and respected in our schools. That means offering different cultural perspectives and honoring those contributions, no matter what percentage of our population they represent. It is said that we are educating our students for a future we ourselves cannot fully understand: for jobs in fields that are not yet conceived, using technologies and methods not yet developed. But one thing is absolutely clear, that future involves more diverse faces, minds, and hearts than some of our classrooms represent. It’s time to give voice to those cultures and teach our students about the wider world in which they will live and work. This entry was posted in Accept, Communicate, Trust by Jeff Bailey of Wicked Decent Learning. Bookmark the permalink.